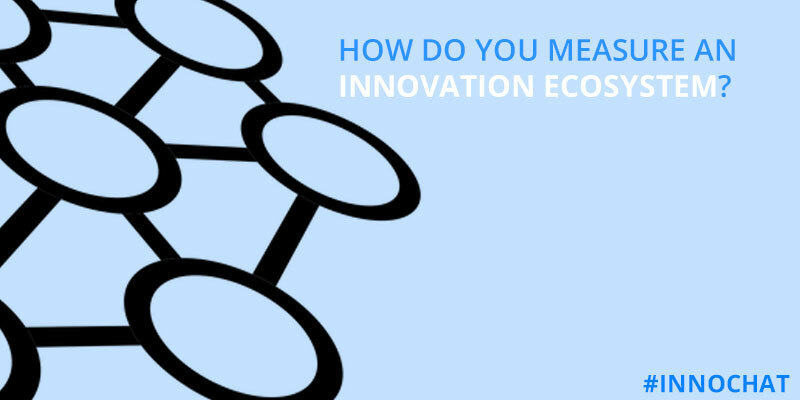 Here’s a recap from our #innochat session on Measuring an innovation ecosystem. Below are the questions we discussed with my own and answers as well as responses from other participants. Want to read the whole chat? Great! You can find the complete transcript of the chat in PDF. Before the obvious ones such as infrastructure and funding, you need culture: beliefs and attitudes. Most governments immediately aim to put in the place the hard stuff (funding, infrastructure) before the soft stuff (culture). As mentioned in the previous question, it all starts with culture. Open communication, trust, collaborative mindset open the door to support systems such as incubators, funding, etc.. Similar to any organization, an open mind. I can’t tell you how important this is. Evidence that an ecosystem is developing is when you don’t think about it anymore; it just happens. Also, there is a shift in identity from “me to we”. Other signs is when you see cross-domain collaboration, such as small companies collaborating with large ones in joint ventures and partnerships. First, ask what works and what doesn’t. Figure out what are the levers that work, push those more and eliminate what doesn’t.